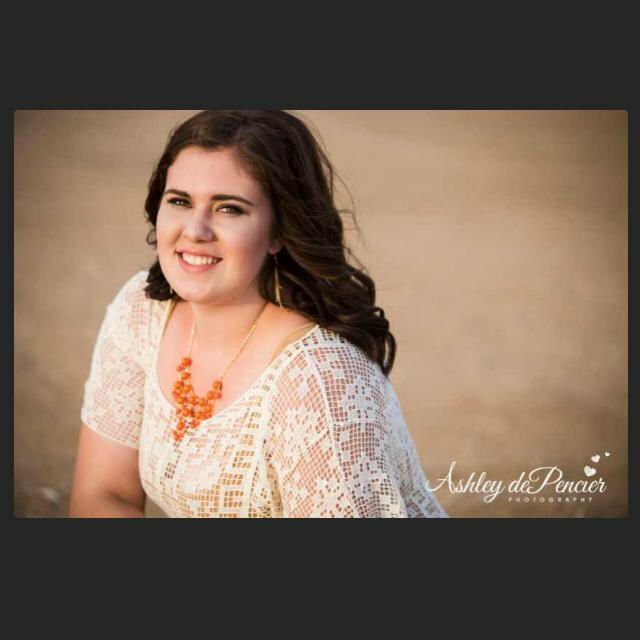 Bailey Schweitzer, 20, of Bakersfield, was among those killed when a gunman opened fire at a country music festival in Las Vegas, killing at least 59 and wounding at least 527. At right in this photo is Aaron Mundhenke, a Bakersfield police officer shot and wounded in a Las Vegas mass shooting Sunday night. Louie-Jarris Wright wrote on Facebook, "One of BPD's finest and a personal friend, Aaron Mundhenke, was 1 of the 400 injured last night in the Las Vegas shooting. He is dedicated to our community and loves the Lord. Join me as I pray for Officer Aaron Mundhenke and his family..."
Victor Link and his fiance, Lynn Gonzales, at the Route 91 Harvest Festival on Oct. 1, 2017, in Las Vegas. Link was shot and killed after a barrage of bullets rained down from the 32nd floor of Mandalay Bay Hotel. Link used to live in Shafter. Victor Link and his fiance, Lynn Gonzales. Link, a San Clemente resident who grew up in Shafter, was shot and killed in Las Vegas Sunday – the worst mass shooting in the history of the United States. Rachel Sheppard of Tehachapi was shot three times during the mass shooting at the country music festival in Las Vegas on Oct. 1. Sheppard has filed suit in a Nevada court against several defendants, including the Texas-based manufacturer of a device that uses the recoil of a semi-automatic firearm to fire multiple shots in rapid succession. Jack Beaton, right, and his wife, Laurie, in an undated photo. Jack was shot and killed in the Oct. 1, 2017 shooting in Las Vegas while shielding Laurie from the gunfire. An electronic billboard near the southbound lanes of Highway 99 and Snow Road asks for prayers following the recent Las Vegas shooting. The worst mass shooting in U.S. history also took a tragic toll locally, claiming the lives of two from Bakersfield and a former Shafter resident, and wounding others including an off-duty Bakersfield police officer and Tehachapi woman. Bailey Schweitzer of Bakersfield, 20, was among the at least 59 people killed when a gunman opened fire at a country music festival opposite the Mandalay Bay Resort and Casino in Las Vegas, her brother, Dakota Schweitzer, told The Californian. Their father, Scott Schweitzer, owns the Bakersfield Speedway. Also killed was Jack Beaton of Bakersfield, who was shot while shielding his wife from the gunfire, his son Jake Beaton said on social media. Another victim of the carnage was Bakersfield Police Department Officer Aaron Mundhenke, who was shot in the hip and taken to a hospital for treatment but was expected to survive. He had surgery Monday morning in Las Vegas and will be in the hospital for a few days, said Sgt. Ryan Kroeker. He was among at least 10 BPD officers at the concert, Kroeker said. All were accounted for. As the toll of local residents killed or injured continued to climb Monday, condolences poured in, including from House Majority Leader Kevin McCarthy, R-Bakersfield, who represents many of them in Congress. “Our community is shaken and deeply saddened by the senseless violence against our innocent neighbors who were attending a country music concert in Las Vegas,” he said in a statement. "Judy and I are praying for each victim and their families during this tragic time. These horrifying times lead us to God for solace as we try to understand how such inhuman acts can happen. One of those healing was Rachel Sheppard, a Tehachapi woman who was shot three times, said friend Cliff Suazo, owner of the Doghouse Saloon and Savannah's Old Town Saloon. He was in Las Vegas at a separate hotel at the time of the shooting and spoke with Sheppard's father around 11:30 a.m. Monday. Sheppard's father said she was shot three times and was on her way to surgery, Suazo said. She was reportedly coherent but confused, and able to move her toes. Sheppard's father and son were reportedly on their way to Las Vegas to join Sheppard's mother, who was already at her daughter's side. Suazo said he was at the Harris Hotel at the time of the shooting and forced to evacuate after guests were told there was a bomb threat made on his and other hotels. "Everything came to a complete stop, and it was pure mayhem," Suazo said. After leaving his hotel, Suazo said, he saw crowds of running people trying to escape the gunman's fire. "I've never seen so many scared people in my whole life," Suazo said. "The older people were running, too, and crying. I made sure people got rides to back to their hotels. I couldn't just let them walk out." Sheppard has worked at Don Perico's for four years, said manager Daisy Guevara. "I called her best friend, Sarina West, this morning, and she said that Rachel is in critical condition," said Guevara. Guevara said she would be speaking to the owner later in the afternoon about hosting a fundraiser for Sheppard and her family. Suazo will also host a fundraising barbecue Saturday around noon at the Doghouse Saloon. He will be accepting donations on behalf of the family, including with tip jars at both his restaurants starting Friday. "It will be a long time before I go back to Vegas," said Suazo, adding, "I will probably never go back. Words cannot describe the chaos and the horror I saw yesterday." 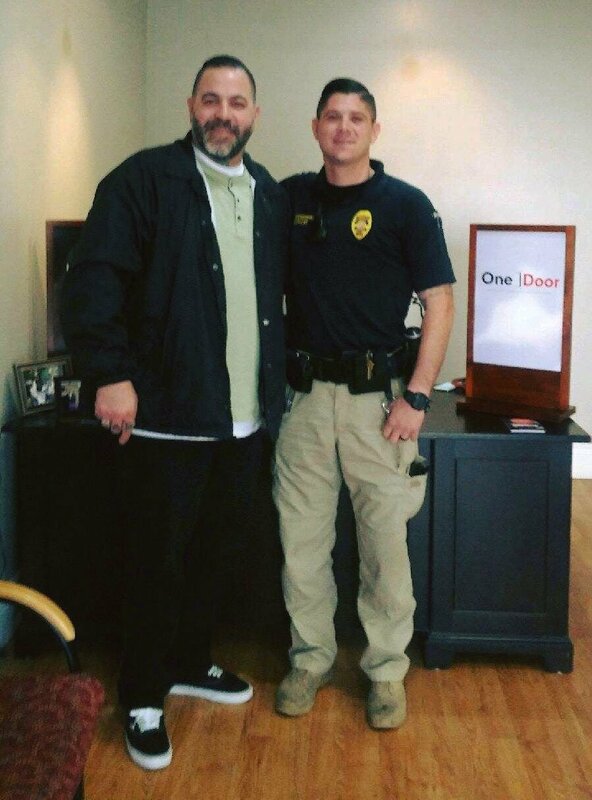 Also killed was Victor Link, a 55-year-old loan processor who was born and raised in Shafter before moving to Aliso Viejo, his nephew, Vincent Link of Shafter, said. Link savored life — and he loved music, Vincent said. He and his fiancé, Lynn Gonzales, had spent months traveling up and down the state for one concert or another. So it was no surprise to Vincent that Link and Gonzales headed to the Route 91 Harvest Festival in Las Vegas with another couple. They were always living the high life, he said. But before the concert’s end, Link was shot to death. His friends survived. The exact details were still murky, Vincent said. He was unsure where Link was shot, and how many times, and whether he was transported to a hospital or died at the event center. He was unsure whether the others in Link’s party were physically hurt. Gonzales was treated at the hospital for shock, Vincent said. Victor also left behind a 25-year-old son, Christian, whom he adopted. Vincent was watching the news Monday morning with his wife, distraught, tears in their eyes, when their 6-year-old daughter walked in the room. They already knew about Link. She didn’t. Two other Kern County women were shot in Las Vegas Sunday. Romero Hernandez at Gabby’s Restaurant said owner Angelica Soto and her friend Carmen Alegria are OK and about to leave the hospital where they were being treated. “I know they are getting ready to be released," he said. "They’re just in pain." The Route 91 Harvest Music Festival has been an annual event for years for Karla Vanessa Gomez of Bakersfield, who was also there Sunday night but not hurt. She didn’t think much of the first round of loud popping noises. She thought they were fireworks, part of Jason Aldean's performance, because he said he doesn’t like to talk much during shows. But then she looked around and didn’t see any fireworks. That’s when Aldean stopped singing and things went silent for just a few seconds before the second round of shots was fired. Gomez, 38, said everybody around her held onto each other. While she took cover on the floor, she thought it was a terrorist attack. Gomez and a man ran to help a young girl whose face was covered by a jean jacket. “We saw her lying on the floor in a puddle of blood under her head,” she said. Both shaking, they uncovered the woman, who appeared to be about 25, checked her pulse and realized she had died. Gomez and her friend were still stuck in Las Vegas Monday afternoon because their car was at the crime scene. Other locals had been in Las Vegas Sunday but left before the shooting. They were still rattled. Bakersfield resident Lauren Naworski, along with her family, boyfriend and best friend, was celebrating her parents' 30-year anniversary at the Las Vegas concert. They had been there all weekend, and planned to come home Monday but decided at the last minute to head home Sunday night instead, just hours before the shooting occurred. “This whole thing is just so crazy,” said Naworski. Naworski, 24, said she was staying at the Mandalay Bay in room 25-135, and the shooter was staying just seven floors directly above her. Throughout the weekend at the festival, Naworski said, she felt safe. Security checked all bags going into the venue and went over everyone with an X-ray wand. “Our community is shaken and deeply saddened by the senseless violence against our innocent neighbors who were attending a country music concert in Las Vegas. "I pray with our nation for the victims and families affected by the terrible act of evil that occurred last night in Las Vegas. "This is a horrible tragedy that has impacted people and communities across our nation including an off-duty officer from Bakersfield who was struck by a bullet and is currently receiving treatment at a local hospital. "I am thankful for the first responders who heroically put their lives at risk to assist victims and worked to locate and eliminate the threat." "My prayers for the Las Vegas shooting victims and their families, along with those attending from our home town of Bakersfield." "Chief Lyle Martin and the entire Bakersfield Police Department extend our thoughts and prayers to the victims of this brutal act, as well as to the first responders of the Las Vegas Metro Police Department, Las Vegas Fire and Rescue, and Las Vegas Emergency medical services." "I had the joy of coaching this young lady and my heart is truly broken after hearing this. She was one of the sweetest girls and always willing to lend a helping hand. Prayers being sent to her family and friends as well as all others that have been affected by this tragedy." "I was pretty much consumed with it over the night and all this morning knowing that it affects so many people, such a tragedy in our nation. Your heart has to go out to the people that have lost their loved ones and the ones that were injured but also the ones that were there to see such a horrific thing happen." The Kern County District Attorney’s Victim Services Unit is offering assistance with funeral expenses, medical bills and counseling to the Kern County victims of Sunday’s mass shooting in Las Vegas. People who were at the Route 91 Harvest festival when the shooting took place can call (661) 868-2400 to learn more about help available through the State of Nevada and the State of California victim compensation programs. As an excellent cost-free option to registration based streaming websites,	popcorntimes	So felt confident if you are fretted that the layout will not use your PC. I know of four women from Bakersfield in Vegas hospitals. Two are in surgery. Two more we don’t know their status. The numbers of a Kern County residents at the show will undoubtedly rise. Delete the spam . Then look at other local news and try Facebook. My friends are recovering from surgery.